Who knew Scotty also played the bagpipes? The mans a talent. In this playful new headcover to celebrate the major across the pond, our faithful putter maker trades his hammer and blowtorch for the bagpipes. 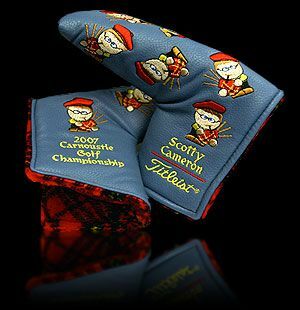 To truly give this headcover a Scottish flair, check out the plaid fur! Just awesome.